Dr. Samuel L. Popkin, Ph.D., Professor Emeritus of Political Science/Recall Professor, presents a noontime lecture to Oceanids Sounding Board at the Faculty Club. 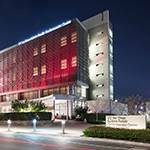 Join UC San Diego Health as we illuminate Sulpizio Cardiovascular Center red for National Heart Month. Let’s unite to prevent heart disease and stroke, and improve the health of women in our communities. 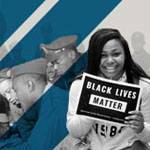 UC San Diego will celebrate Black History Month in February with events that pay tribute to legendary figures in African American history. Events include film screenings, educational seminars, art exhibits and more.